I've always been a fan of those free gift with purchase offers at beauty counters, and, being a product junkie, will happily spend whatever amount of money is required to receive one. Julep Maven is kind of like getting a great gift from your favorite beauty brand, only better--you get a box full of goodies every month and, unlike those beauty counter gifts that are prepackaged (and may or may not have products products you actually like or need), you get to choose what comes in your beauty box. So you can select the curated box, which is already fabulous, or swap out a product or change a color. Now here's where the gift part comes in. Right now, I've partnered with Julep to give you your first Maven box for free! 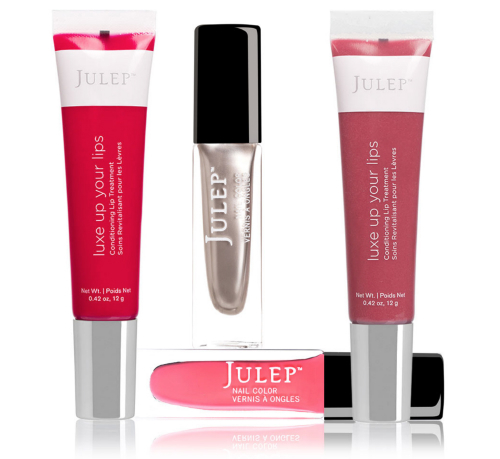 You'll just pay $2.99 for shipping, which is beyond worth it considering what you get: Julep's oxygen technology nail polishes that actually help your nails grow healthier and stronger, along with their silky-smooth lip treatments, which have just the right amount of color so you can swipe and go. Plus there's absolutely no pressure; you can cancel any time, but I highly doubt you'll want to! Click the link below to get started and receive your first Julep Maven box on me! 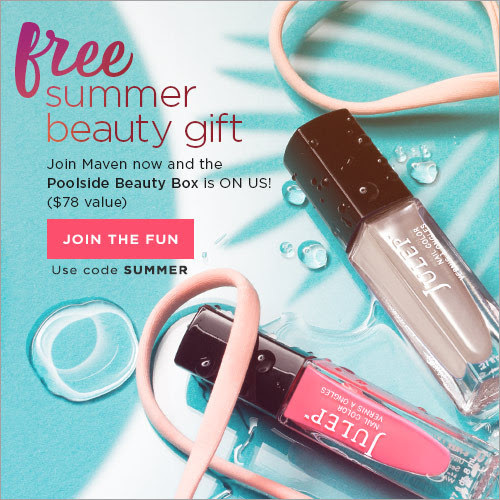 Join Maven and get the Poolside Beauty Box FREE ($78 value) - just pay $2.99 shipping! Thanks! Make sure you take advantage to get that free box (only $2.99 for shipping!)!!!! Woohoo! You're gonna love it!